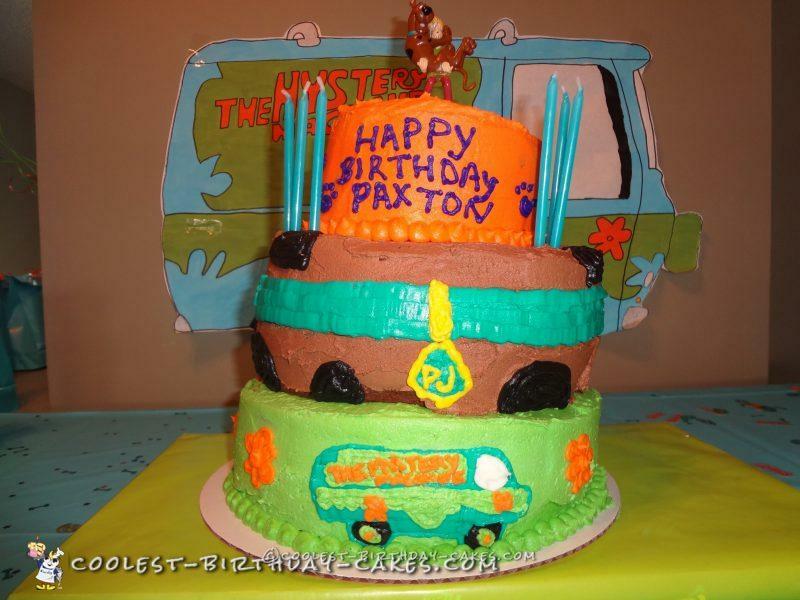 Here is my son’s 6th birthday Scooby Doo Triple Layer cake. 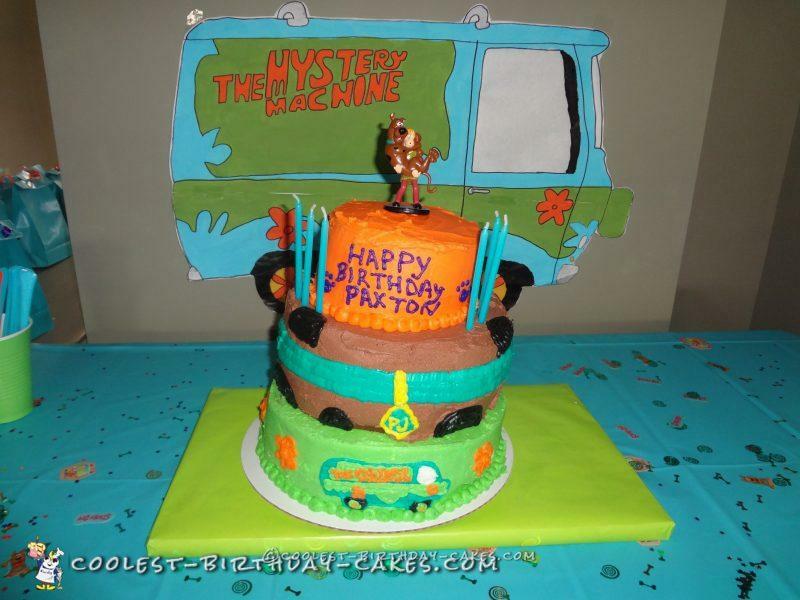 The bottom layer, with the mystery machine on it, is a tye dye cake. 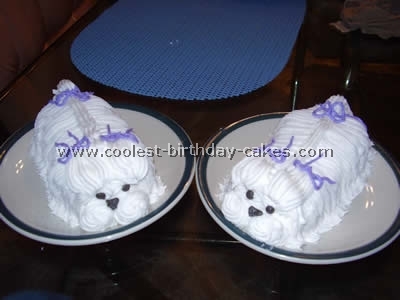 The middle Scooby print layer is chocolate and the top paw print layer is a combination on both cake flavors. On the Scooby Doo collar layer I put my son’s initials instead of using Scooby’s. I had a fun time decorating this Scooby Doo cake. My son loved it and the guests thought it was cute.